Wondering If You Should Consider Homeschool Preschool? Should You Consider Homeschool Preschool? It is no secret that I homeschool both my kids. It was a decision that my husband and I made before both Jael and Caleb were born. However, homeschool preschool wasn’t on the list at first. I had pictured my darling kids attending the local French school and being bi-lingual- we are Canadian after all. If you are trying to decide if you should consider homeschool preschool, then this post is for you. If you are playing with the idea of homeschooling your preschooler, there are four things you should consider to help you make your decision. assessing your child to see what they know. Doing all these things prepares you for the homeschooling journey ahead. You won’t be phased by these must-dos as you will be a pro after preschool. Better yet, if you have chosen a guided curriculum, this is all done for you- but let’s not get ahead of ourselves just yet. As parents, we want the best for our kids and we have the best of intentions. How many times have you told yourself, “Today, I will help my child conquer that annoying b and d mix up.” We identify what our kids want and need but there is something that always sneaks up on us… time. If you are on the fence about homeschooling your preschooler deciding whether or not you will have the time to actually teach your kids is important. If you don’t have the time to teach them then guess what? They won’t learn anything. If you don’t teach them to read, they won’t learn to read. So before saying yes to homeschool preschool, please for the sake of your darling, decide whether or not you have the time to help your child. Have you ever watched Ferris Beuller’s Day Off? Do you remember that teacher doing the roll call? Do you remember how monotonous he sounded and how bored his students were? Let’s be honest, there is no way a boring parent can teach a preschooler. Worse if that parent has no passion. If you do not have the desire to inspire your children to learn about the world around them – then don’t punish yourself and them. You will resent it and they will resent learning. Want your child to learn the letters of the alphabet and their sounds? I will live by Leapfrog’s Letter Factory -the songs are catchy and they work! You can do a diaper change and start asking your child what the B says by singing the song. Preschoolers learn best through materials they can hold. Forget flashcards- whatever concept you are trying to teach won’t work unless they can see it. Want your child to understand the concept of fractions, grab a pizza and divide it into 2- that’s a half right there. 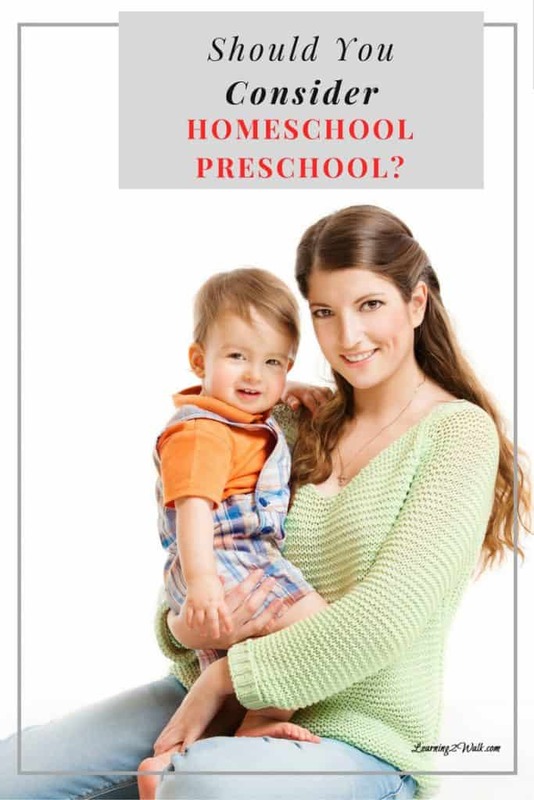 Considering these four factors will give you a better grasp on homeschool preschool and whether or not it is a good fit for your family.